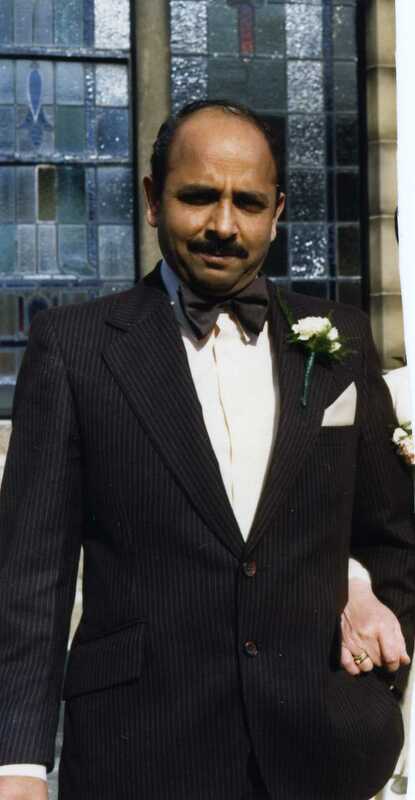 The Asian voices project is collecting audio interviews of South Asian men and women who came to Huddersfield, West Yorkshire in the 1950’s and 1960’s through oral history recordings. The aim of the project is to show the contributions this community has made to Huddersfield and the way in which the communities have integrated into a now culture rich Huddersfield. We want to celebrate the hard work of this once unheard community and want to relive with them the highs and lows of coming to a foreign land, leaving behind their families and working in what was then a ‘blackened’ Huddersfield. For the next two years, I will be collecting audio interviews, requesting photos from the 1950’s onwards in relation to Huddersfield and will welcome any comments and suggestions to improve or compliment the project (more of the latter please!!). Welcome back to the Asian Voices blog. Since the completion of the Asian Voices (click here for book link) project in 2010, I have gone from a young researcher into an academic. I am now officially a Dr. and have continued to research and work closely with Older South Asian, Pakistani and Indian settled migrant women (I will tell you more about ‘my’ women and their experiences over the next few blogs). In this blog, however, I am going to address the comments I sifted through before writing. I have to address one comment, which to be honest I wasn’t surprise to read ‘I wish you p?! *&s would go back home!’ Do you know I am tired of hearing this and tired of the circle of ignorance that keeps coming back round and one that extends not only individuals who don’t know any better, but up to the ceiling and the high castles in which the social hierarchy live. There are two issues here, first where do you want us to go? that is to say that you think, I (or we) assign ourselves to the ethnic group you think, I (or we) are!! What if I am a blond haired, blue eyed British woman writing this? I am not, and nothing against you if you have blond hair and blue eyes, but this rhetoric just takes me back to the times of Hitler, WWII, and ethnic cleansing. Where do you want me to go when generations of me are born here? Go back to town in Yorkshire I was born in? or back to the village, in the UK, I live in? Often it is easier for us to blame others rather than looking within. The PhD taught me a lot about being reflexive and I think this is where society is lacking, looking at ourselves before we look and label others. Many of the population in the UK have migration in their heritage (even if you don’t typically ‘look’ like a migrant) or look to ideas of future migration (ex-pats). Lets look at the 1960s and 70s when there was an influx of Asian and African-Carribean migration to the UK. What about the Irish migrants who were labeled into the same categories ‘No Blacks, No Irish, No Dogs’. What about the current climate, Eastern-Eurpoeans, who also have a past migration history in the UK, and flux of Middle-Eastern migration around the world, in which we cry over the small proportion who are migrating to the UK, in our ignorance thinking Britain has opened its doors to hundreds of thousands. There are only 187 Syrian refugees who have been granted asylum in the UK, and not all of them are here . I want to end this blog with a thought. Four years ago, when I completed the Asian Voices project we were at a time when we seemed to be living in peace and harmony, four years later we are in a time where our two steps forward have been halted by a hundred steps back. We have launched ourselves back to the 60s and 70s when race was on the cards and skinheads would chase school children because of colour (see Asian Voices book), where the fear of Enoch Powell has turned into the fear of Donald Trump. I feel sad for the memories of the days gone by, and the fear that has turned race into religious hatred. I can only hope for a peaceful world in which suffering across the globe stops, and our children grow up without being othered through race, religion, ethnicity or even their class, which we too face through the battle of the ‘Grammar School’! We are living in a Global society, so there is no where for me to go back home, this is my home, because where I am, is what I become. Buy your copy of Asian Voices: First Generation Migrants by Nafhesa Ali through the University of Huddersfield. Contacting the Director of the Centre for Oral History Research, Stephen Dorril on s.dorril@hud.ac.uk or Nafhesa Ali, Project manager on n.ali2@hud.ac.uk. Priced at £5 inc p&p and £4 for each additional copy. Individual copies are available at £4 each. Asian Voices documents a collection of oral history interviews and personal photographs with the memories of real life experiences from the South Asian community. It celebrates the stories of local people; how they coped with the English weather and language difficulties, where they shopped, prayed and the milkman who sold them everything from live chickens to milk. Published by the University of Huddersfield in collaboration with the Heritage Lottery Fund. 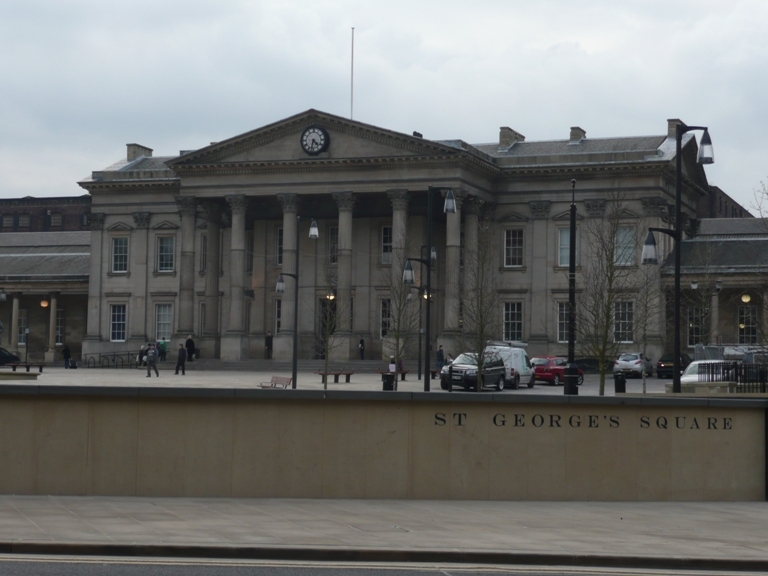 Take a look at the new images of Huddersfield added to the Asian Voices website, including the new look St Georges Square, The Empire Cinema which was popular in the 1960’s and still stand today. Also see if you can see the symbols of the British Empire on the buildings which have been around since the 1800’s. With the run up to the end of the project in June, I am seeking more and more people to take part in the project and have their oral histories record. If you are from a South Asian background and your family migrated in the 1950’s, 1960’s or 1970’s get in touch and have your history recorded and documented for life. The project run by The University of Huddersfield will be archiving all interviews and you will be able to see your biography on the Asian Voices website, www.asianvoices.org.uk. During this month I have been working with Lindley Infant School, conducting Oral History workshops teaching students to reflect on their family history and learn to interview each other and have collected interviews from The Indian Workers Association with thanks to Baldev for allowing me access to his men’s social group who gave me some fascinating stories. 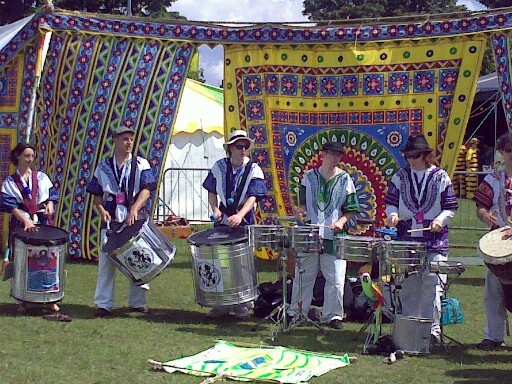 Have a listen to them on the website. So get in touch; this is a chance for ordinary people to have their life histories recorded… be part of the future now! A curry for Christmas, that’s what I’ll be having for Christmas lunch along with a roast chicken, Brussels sprouts, carrots, parsnips, potatoes, gravy and cranberry sauce and if we’re really lucky we might have a turkey instead of the roast chicken! So this is what you call an Asian Christmas. Don’t get me wrong we love Christmas dinner, Christmas decorations and in all, the Christmas spirit (apart from the rush of the shops) so where does the curry fit in? Well, we always have a curry don’t we? In my household not so much, it’s mainly pasta, wraps, rice pizzas, but the older generations still do and if they don’t, on Christmas day you will be guaranteed to have some chilli piled on one of the veggies!! This is what you call the best of both worlds and dual cultural heritage. I can’t wait to get the crackers out and have the kids wake up knowing its Christmas. As Muslims we have had our religious celebrations and the kids were inundated with presents on Eid which still seem to be coming out of the corners of the house, but they still hold onto the idea of Santa Claus and Rudolf, know about the birth of Jesus and participate in Christmas concerts. With two cultures they understand both and are happy having the opportunity to have both, so a curry it will be for Christmas, with all of the trimmings of course…and if we’re really, really lucky we might even get snow! Oral history and what it means. 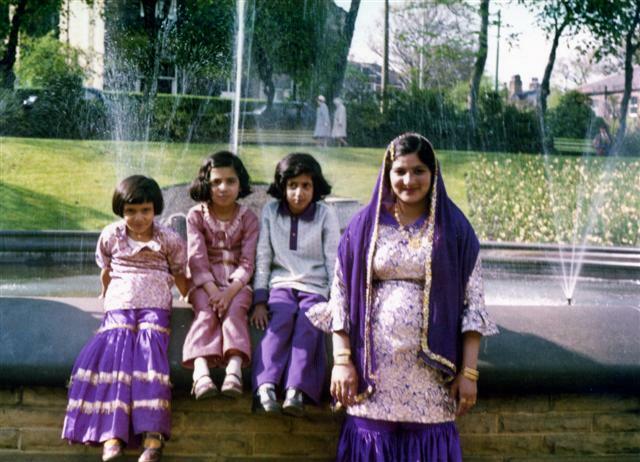 So far, the Asian Voices project has interviewed many people from the South Asian community and documented their experiences and memories about coming to England. It has been an eye-opening, fascinating experience to take part in and it will provide an invaluabe archive of the thoughts and feelings of those who experienced this important period in British history first hand. This, however, is not the sole purpose of Asian Voices or indeed oral history as a whole. Looking at some parts of various transcripts it is easy to see why. This part of Mr. Hussain’s interview shows clearly how and why oral history is such a relevant tool for more than just the cataloguing of events. For a community such as South Asian immigrants, particularly in Britain, oral history serves to give people a voice where, in many cases, they haven’t had one before. South Asian immigrants to the UK possess some of the richest, most diverse and most interesting cultural history, yet in a historical sense it is an aspect of our country’s history which has been overlooked. With oral history, the very people who participated in this movement are able to say what they feel about it themselves before it is too late. When the British Empire collapsed in the late 1940s due to Britain’s heavily weakened state after World War 2, Britain needed workers. Men like Sabir came from their homes in Southern Asia to aid Britain at a time when their labour was invaluable. Asian Voices has given these people the chance to say what it was like to come to Britain and find work, mostly in industrial jobs, and form a community that has remained strong and secure ever since. 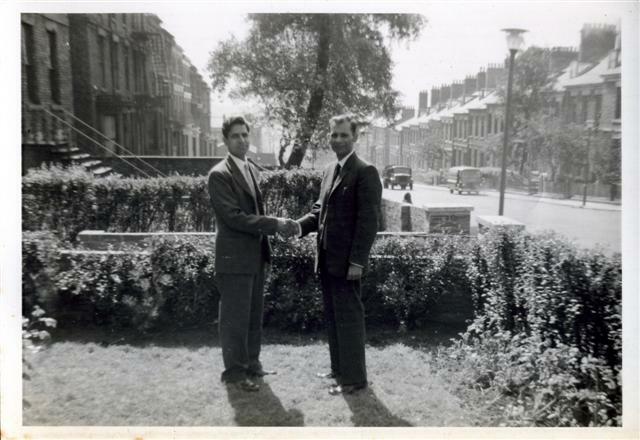 The purpose that men like Sabir served in those early days of South Asian immigration to the UK is what oral history and the Asian Voices programme is all about. It aims to show the community how and why these men and women came to Britain, and tell the fascinating stories they have about their experiences in doing so. Forty years ago not only was society different with regards to culture, ethnicity and social activities, bit climate was also different. For South Asians coming into Britain, one of the shocking things for them was the weather. In the 1960’s summer was summer and winter was winter. In the summer the sun would shine and the beaches would be filled and in the winter the snow would fall and wellies and shovels would come out. On the Asian voices website (www.asianvoices.org.uk) we have many recollections of the snow, going to the outdoor toilet in your wellies, remembering the snow falling and staying on the ground for months at a time and my favourite is the way in which Mohammad Siddique describes the ice in his mother tounge punjabi as looking like “sheets of glass on the rooftops”. The description oral history provides to the past highlights the imporatance to which it must be preserved and if you would like your oral histories recorded, please contact me via the Asian Voices website.